Recently, Miriam borrowed a children’s cookbook from the library. During the first week she had the book, she kept bringing me recipes she wanted to try, and every time I told her no due to feeling overwhelmed with moving and a very busy schedule. As soon as things started settling down, I promised myself that I would say “no” and “not right now” much less to all of my children. 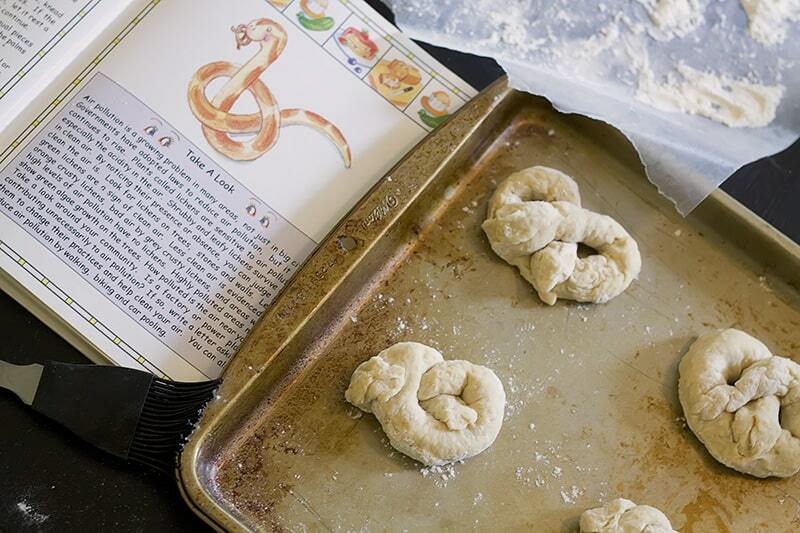 When Miriam brought the book to me asking to try out a pretzel recipe this week I agreed to help her make them, though I could tell from the recipe that they probably weren’t going to taste very good. She had a great time cooking and shaping the pretzels, but when it came time to eat them we all agreed that the recipe definitely wasn’t a keeper. I just pinned a yummy looking soft pretzel recipe to my pinterest board, so we hope to give that one a try soon.